One-Click Pattern Unlock Tool V3.0.2 By PMS is an application for Windows computer, which allows you to remove the pattern lock from your Samsung Android device One you can remove User Lock, Phone Lock from the Samsung Android Smartphones, it also allows you factory reset for your Samsung Android device, Click Pattern Unlock Tool V3.0.2 By PMS Its latest version is released and available for direct download from our website. If you are interested in download the latest One-Click Pattern Unlock Tool V3.0.2 By PMS than simply follow the link given at the bottom. It is free to download and very easy to use. So download and enjoy the new One-Click Pattern Unlock Tool V3.0.2 By PMS on your PC. Disclaimer: Please read the terms and conditions carefully before using One-Click Pattern Unlock Tool V3.0.2 By PMS Use of this software indicates you accept the terms of this license agreement and warranty. One-Click Pattern Unlock Tool V3.0.2 By PMS (this software) is provided "as-is" and without warranty of any kind, express, implied or otherwise, including without limitation, any warranty of merchantability or fitness for a particular purpose. In no event shall the author of this software be held liable for data loss, damages, loss of profits or any other kind of loss while using or misusing this software. License: One-Click Pattern Unlock Tool V3.0.2 By PMS is a freeware Utility Tool. You may try it free as always. Copyright ©: One-Click Pattern Unlock Tool V3.0.2 By PMS All rights reserved. 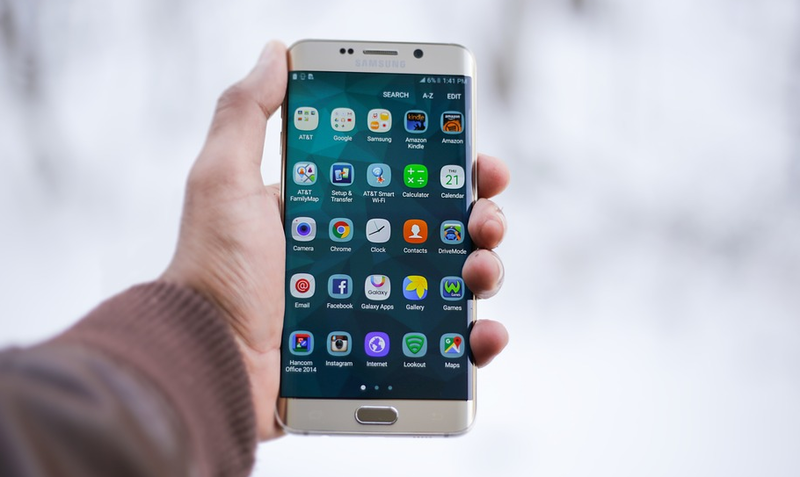 Take a Backup: If you are willing to try the above tool, then please take a backup of your personal data from your Android Smartphone or Tablet. As flashing any Firmware or recovery may brick the device. Hell Tool V3.1 Free Download By PMS is an application for windows computer, which allows you to repair your android device, it allows you to repair IMEI, read info from your android device, wipe data, reboot to edl, and many more option it's gives you download this tool from this page and use it. Hell Tool V3.1 Free Download By PMS Its latest version is released and available for direct download from our website. If you are interested in download the latest Hell Tool V3.1 Free Download By PMS than simply follow the link given at the bottom. It is free to download and very easy to use. So download and enjoy the new Hell Tool V3.1 Free Download By PMS on your PC. License: PHell Tool V3.1 Free Download By PMS is freeware Utility Tool. You may try it free as always. Copyright ©: Hell Tool V3.1 Free Download By PMS All rights reserved. Samsung Multi Tool For All Samsung Android Device By PMS is an application for windows computer which comes with the very useful Samsung Tools for the Samsung Smartphone and tablets. It comes with the Samsung Z3Z V29.5, NCK Samsung, Hell Tool V3.0, Samsung Z3X V27.2, Samsung Z3X V28.2, Halabtech V0.2, Samsung Drivers, Secret GSM Fix Tool, FegaruKey V1.0, FegaruKey V2.9.4, FegaruKey V2.9.5, SamFix V1.3.0, SamFix V1.1 and Samsung Pattern Tool. 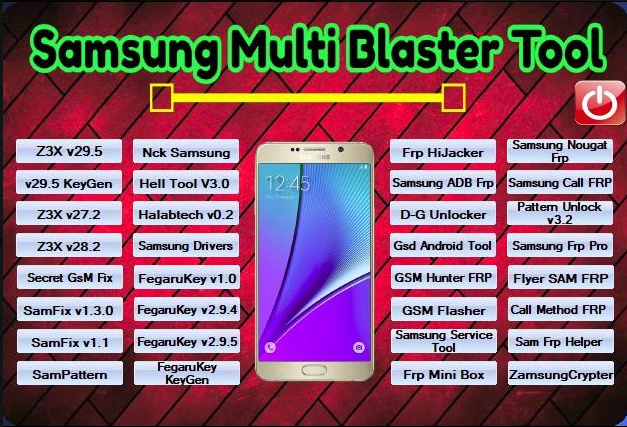 It also comes with the FRP Hijacker Tool, Samsung ADB FRP Tool, D-G Unlocker Tool, GSD Android Tool, GSM Hunter FRP Tool, GSm Flasher, Samsung Service Tool, FRP Mini Box, Samsung Nougat FRP, Samsung Call FRP, Pattern Unlock V3.2, Samsung FRP Pro, Flyer SAM FRP Tool, Call Method FRP Tool, SAM FRP Helper, Zamsung Crypter Tool. License: Samsung Multi Tool For All Samsung Android Device By PMS is freeware Utility Tool. You may try it free as always. Copyright ©: Samsung Multi Tool For All Samsung Android Device By PMS All rights reserved. In case you’ve been living under the rock or you just arrived from Krypton, lol, Apple has announced its special anniversary edition iPhone, the iPhone X. It features an edge to edge display and a new unlocking mechanism called Face ID. It replaces the old Touch ID as the phone lacks a fingerprint sensor. Users who love tinkering around on their Android smartphones will remember, that something similar already exists in Android smartphones. As always, Samsung did it first, then Google incorporated face unlock as a part of its Smart Lock system incorporated starting with Android 5.0 Lollipop. Smart Lock gives you various options to speed up the process of unlocking your smartphone. 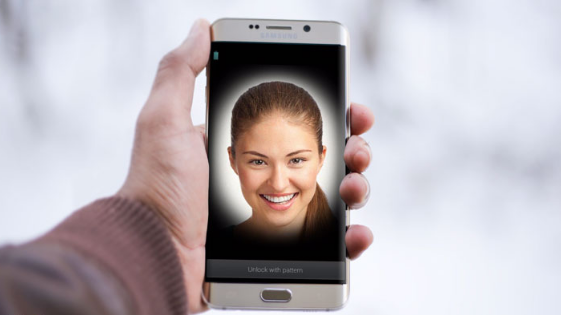 One of these options is called Trusted Face, earlier called Face Unlock on Samsung devices. Functionally, Trusted Face is quite similar to Apple’s Face ID. You wake your phone and look at it, it recognizes your face and then you can simply swipe to unlock the screen. There is no need to scan your fingerprint or enter a PIN. But to be fair, Android’s Trusted Faces is just not secure enough, even Google admits that. You will be made aware of the fact even as you try to turn on Trusted Face. It is too soon to judge how accurate or secure Apple’s Face ID will turn out to be. However, it is safe to say at least, in theory, it sounds more secure. Face ID uses a few extra sensors such as a flood illuminator and a dual camera setup that includes an IR sensor. Android smartphones don’t have these sensors at the moment. Apple’s software, with the help of these sensors, can create a 3D map of your face. This ensures it can’t be fooled with a picture of your face, and Apple claims not even a 3D printed mask of your face. Before you can set up a Smart Lock method such as Trusted Face, you will need to set up a secure lock screen if you haven’t already. This can either be a pattern, a PIN, or a password. Go to Settings > Security. For Samsung and some other devices, it’s Lock Screen & Security instead of just Security. Here, tap on Screen Lock and select a secure lock method. When you have a secure lock set up, you will see the Smart Lock option get enabled right under Screen lock. The option can be somewhere else within the same settings page depending on your phone’s software. You will be asked to enter your PIN, pattern or password that you use to unlock your phone. Next, you’ll see the various Smart Lock options, tap on Trusted Face. Select it. The system will now warn you about the security issues, tap SET UP. It will then instruct you on setting up a trusted face, tap NEXT. You will now see a feed of your device’s front-facing camera with a circle in red. Ensure that you are in a well-lit environment and line up your face with the camera. Your entire face should fit within the circle. When the circle becomes entirely blue, tap Done. You can now select to Improve face matching if you want. This helps the system recognize your face a bit better. It helps if you move to a different room with slightly different lighting and change angles. You can also come back to the Trusted Face settings at a later time to improve face matching if you would rather not do it now. Now when you wake your device, you will notice a small silhouette icon at the bottom of the lock screen indicating that the phone is looking for your face. Whether it finds your face or not depends on the angle at which you’re looking at your phone. If your face is too close or too far away, the device will fail to recognize it. In which case, you will see the icon at the bottom turn to a lock. If it does recognize your face, the icon at the bottom turns into an unlocked lock. To get started, take a complete backup of personal data in your smartphone using appropriate apps. We will use this backup to restore your personal data if your device gets corrupted during the rooting process. Next, download Samsung Galaxy A9 Pro USB driver and install it on your computer. Only by installing the USB driver for your device, you will be able to connect the smartphone to the computer. Now, enable “Developer Options” in your device by following this path: Settings -> About Phone -> Build Number (tap on it 7 times). Once done, enable USB debugging mode by following this path: Settings -> Developer Options -> USB Debugging. 4) Next, ensure that your device has at least 50-60% battery backup in it before getting started with the rooting procedure as it is a battery-consuming one. Once you have finished all these requirements, you can move forward with the rooting tutorial given below. 1) To get started, download Odin and Samsung Galaxy A9 Pro TWRP recovery image (twrp-3.0.2.1.img.tar) to your computer. Once downloaded, launch Odin window. 2) Next, switch off your smartphone and boot into the download/bootloader mode by pressing and holding the Volume Down, Power and Home buttons simultaneously. 3) Once your device boots into the download mode, connect it to your computer using the original USB data cable. If you have installed the USB drivers of Galaxy J2 in your computer properly, Odin will automatically identify your device, and you will see an “Added” message in its Logs. Also, the ID: COM will turn to “Blue” color. 4) Now, click on the “AP” button in Odin window and select the twrp-2.8.7.0-j2lte.img.tar file. 5) Next, click on the “Start” button to launch the flashing process (which will take a minute or two to get completed). Once the flashing process is finished, you will get a “PASS” message in the Odin. Your device will also reboot. 6) Now, unplug your smartphone from the computer. That’s it. Now, you have successfully finished flashing TWRP recovery on Samsung Galaxy A9 Pro smartphone. Let’s find out how you can root your device. 1) To get started, download SuperSU and save it in your computer. Once done, connect your smartphone to the computer using the original USB data cable and transfer the SuperSU file to its internal memory. After successfully transferring the file, unplug your device from the computer. 2) Now, boot your device into the TWRP recovery by pressing and holding the Volume Up, Power and Home Buttons simultaneously. 3) Once your device boots into the TWRP recovery mode, click on “Install” and select the SuperSU file in your device’s internal memory to launch the flashing process. 4) Once the flashing process is finished, reboot your smartphone. Qualcomm EMMC Test 9008 Mode Tool By PMS is a windows tool for Qualcomm smartphones and tablets, it allows you to test the emmc in 9008 modes, you can connect your Qualcomm device to 9008 modes, you can test emmc its supports read & write it supports msm8x10, msm8x12, msm8916, msm8974, msm8x26. License: Qualcomm EMMC Test 9008 Mode Tool By PMS is freeware Utility Tool. You may try it free as always. Copyright ©: Qualcomm EMMC Test 9008 Mode Tool By PMS All rights reserved. No root to be able to put in Myanmar. Adb will take a Samsung button. There will be auto-selected in the language. 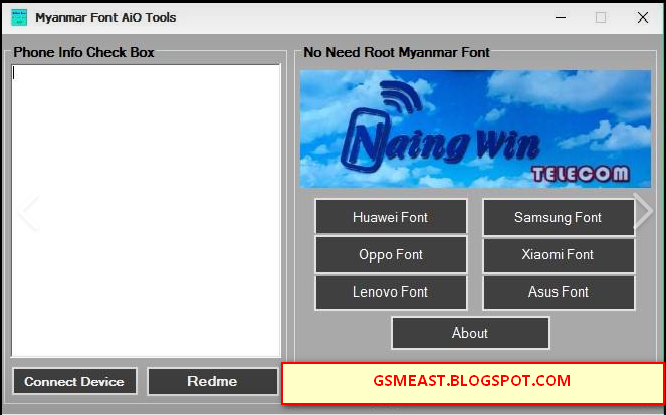 License: MST Myanmar Font Update By PMS is freeware Utility Tool. You may try it free as always. Copyright ©: MST Myanmar Font Update By PMS All rights reserved.